We also offer a wide range of Bain Circuit Adult. The set we offer are with corrugated tube with an expiratory valve and are connected with tube and a reservoir bag. While manufacturing such product we use a high quality of raw material. We are known for the consistency in the quality in products supplied by us to our clients. Whether it manufactured, sourced or supplied, every product that we offer holds the mark our quality approval. We are a group of engineering and non-engineering professionals working and developing a synergy that we aim to meet client's requirement of new product development. 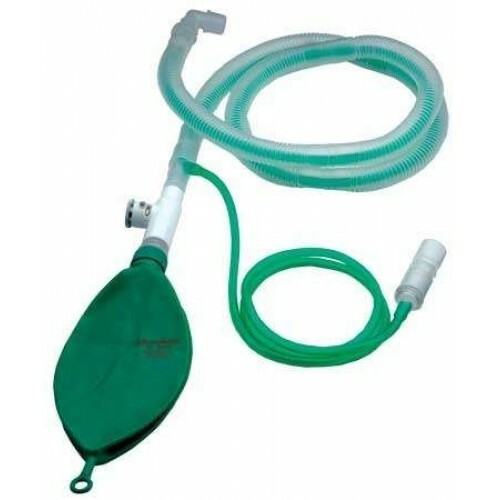 BAIN CIRCUIT ADULT : It is based on Mapleson D system, provided with 22 mm corrugated tube, expiratory valve and 2 litre antistatic bag.